Liz Cho gives the latest info on the case. WAYNE, New Jersey (WABC) -- A New Jersey man who won a major Powerball lottery drawing is accused of sexually assaulting a young child. The Passaic County Prosecutor's Office said 49-year-old Pedro Quezada, of Wayne, allegedly assaulted a girl from the time she was 11 years old until she was 14. He's facing charges of first- and second-degree sexual assault, as well as endangering the welfare of a child. Investigators said there do not appear to be other victims. 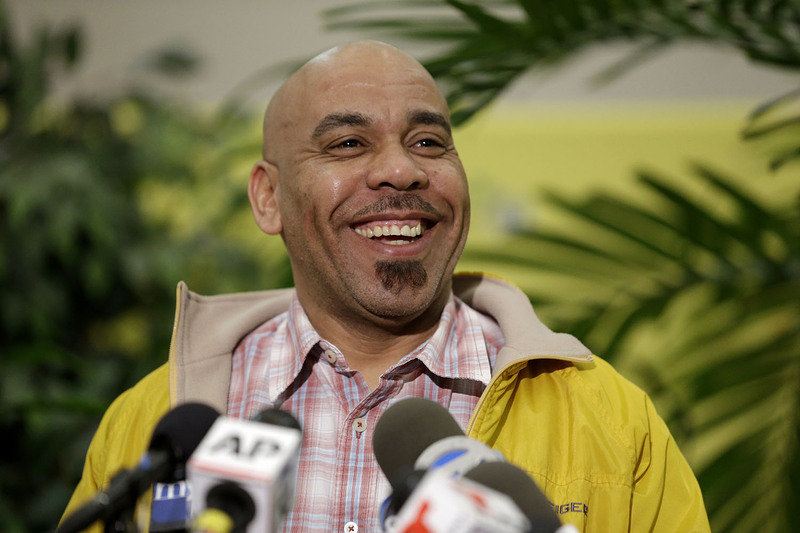 In this Tuesday, March 26, 2013 file photo, Pedro Quezada, the winner of the Powerball jackpot, talks to the media during a news conference at the New Jersey Lottery headquarters. If convicted, he could spend more than 20 years in prison.